Get Ready! 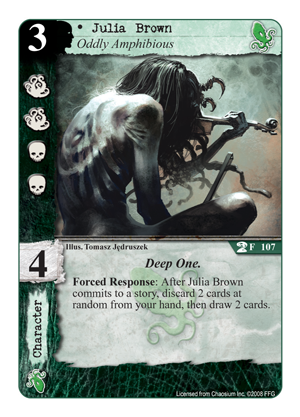 With The Wailer Below at a speakeasy near you, I expected to be talking about the Screams From Within Asylum Pack today. The good news is, I will next time. The bigger news is that there is bigger news to talk about today: The Hermetic Order of the Silver Twilight Lodge is entering the fray. There’s a lot of ground to cover today, so let’s go! Some may wonder who these people are. 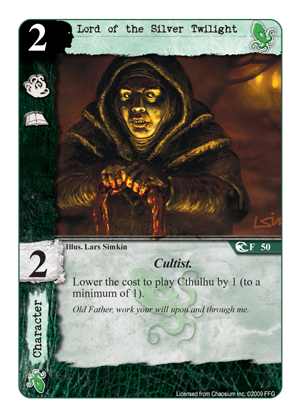 Call of Cthulhu: The Card Game is based on several sources. There are influences from H.P. Lovecraft and his literary circle, of course, and there are a lot of references to Chaosiums legendary roleplaying game The Call of Cthulhu, which featured a campaign called “The Shadows of Yog-Sothoth.” This campaign features The Hermetic Order of the Silver Twilight – a Cthulhu Mythos version of the real-world Golden Dawn – as a hook for adventurers to set them on the trail of things humanity wasn’t meant to know. 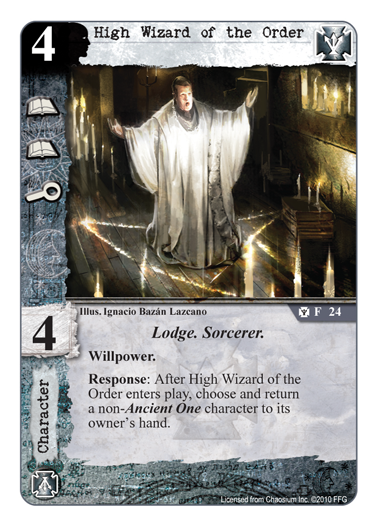 You might also know them from Arkham Horror, where players can choose to join the Order by visiting their lodge. The Order itself has a strange hierarchical structure. On the lower end are the initiates and other people interested in the occult, drawn to belong to an organization they view as a funny book club that has secret handshakes. Most aren’t even aware of the true nature of the Order and its agenda. They humor each other by joining in seemingly innocent acts, hokey rituals and other distractions without even questioning the purpose. But they are tools. Sometimes, things go wrong, a friend goes missing and they hire some investigators to look into the matter, answer a few questions to the police and well… That’s it. The Order tightens the grip on them, start to demand more outlandish things of them and slowly they get tangled in a web of blackmail, threats and shocking revelations. The true goals of the Order? 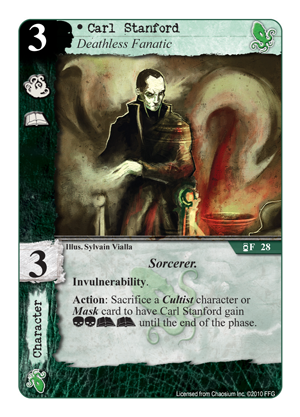 Well, to be honest, The Hermetic Order of the Silver Twilight has been a part of the Call of Cthulhu the Card Game for a long time, be it in a less organized fashion. Lord of the Silver Twilight (Core Set, F50) is a character that has gone a little higher up the ranks. Then there is Carl Stanford (Secrets of Arkham, F28,) one of the Orders’ principal Sorcerers. 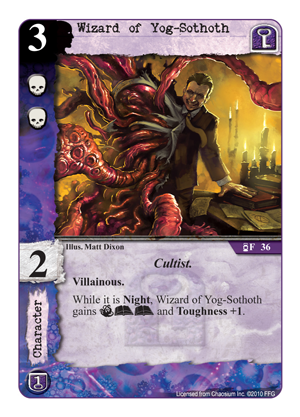 Wizard of Yog-Sothoth (Secrets of Arkham, F36) is a title bestowed on some of the Orders’ most loyal members. 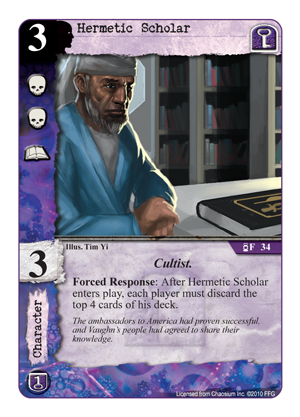 It’s not unthinkable that Hermetic Scholar (Secrets of Arkham, F34) is part of it too. Factions in Call of Cthulhu represent a certain level of organization. A ‘resource match’ is an indicator of who you know, what you know and where your contacts are. 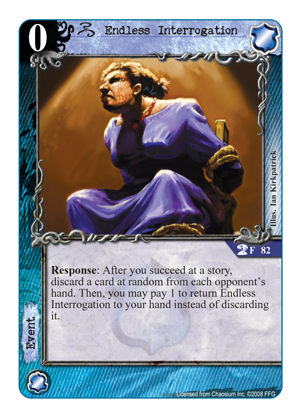 Sure, there can be some internal power struggles (You and the other player both picked, say, Agency, to compete against each other) and there may even be some alliances where the members of your team aren’t even aware they are working towards the same goal as their enemies (Your Agency/Hastur deck) but resourcing shows you know your way around a certain subset of assets just enough to use them. As the Order grows, their loose associations grow into stronger bonds, and the structure of the Silver Twilight becomes more formalised, to the point where the members fall under a new resource type. And thus, a new faction is born. The Silver Twilight already was a big part of the background for Call of Cthulhu and by bringing it more to the foreground, it helps bringing the universes of Arkham Horror and CoCLCG closer together. 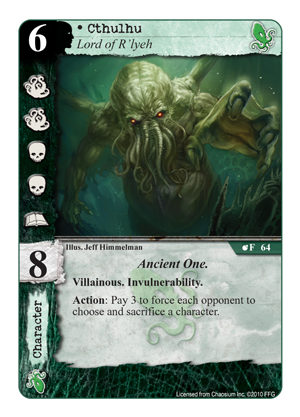 Since it uses flavor previously reserved for the Cthulhu and Yog-Sothoth factions, will it detract from these factions, and steal their identity? Well, no. The Order of the Silver Twilight just brings more focus to cards that would previously have fallen under Neutral cards. The Order gets the card slots from there, and works towards a new cohesive structure. If anything, it means that there is space freed up for the other factions to delve deeper into their core mechanics and subtypes. Less neutrals means more room for better focus for everyone. Factions aren’t only defined by resource matching, but by their mechanics. Factions have a play style. 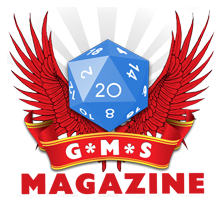 For instance, when removing a character, Hastur would turn it insane, Syndicate would exhaust it, The Agency would wound it and Cthulhu simply destroys. High Wizard of the Order (F24) shows how The Order often approaches this. The order still is mostly powerless against Ancient Ones, since their secret agenda is to make them rise and thrive. 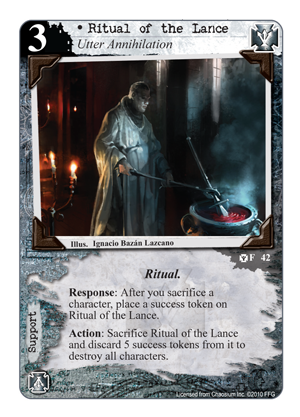 Note that Ritual of the Lance doesn’t allow you to sacrifice characters by itself, but it leeches off other effects. 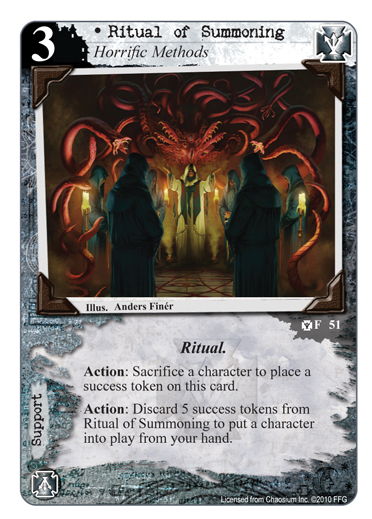 And if your opponent isn’t willing or able to force some death, like the sacrifice effect from Ritual of Summoning (F51) Imagine having these rituals and Cthulhu, Lord of R’lyeh (The Wailer Below, F64) – That has to be worth a little collateral damage, right? This is the type of passive aggression you can expect from this new faction. Being hit by a flurry of Endless Interrogation (The Thing From the Shore, F82) can be pretty harsh, but when life gives you lemons (or other Yellow Signs) then Silver Twilight just opens a lemonade stand. 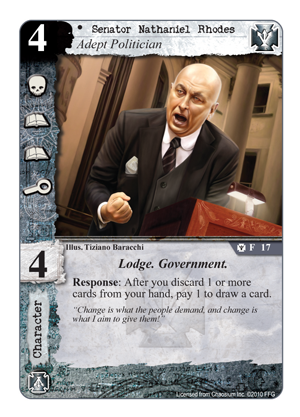 Senator Nathaniel Rhodes (F18) can turn discard in card cycling, giving this setback a positive spin by possibly improving your hand quality. You might even concider teaming up with Julia Brown, Oddly Amphibious (The Path to Y’ha-nthlei, F107) to accelerate your discard triggers and even gain a net advantage. Change is always scary and exciting. The Silver Twilight has to work hard to find a niche for themselves. This new order and upheaval offers new conflicts, challenges, opportunities and discoveries. This is your chance to take the power for yourself! Dear President.Order of silver Twilight.